Russian Ambassador to the United Nations, Vitaly Churkin died suddenly in New York on Monday according to the Russian Foreign Ministry. He reportedly fell ill at work shortly before he died. 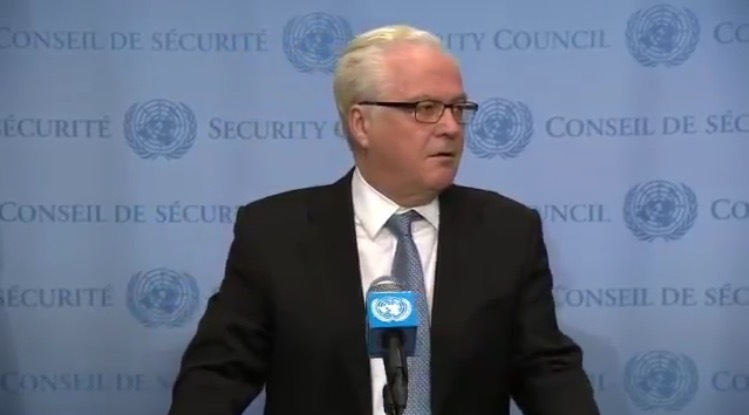 It declined to comment on reports that Churkin had been taken to hospital shortly before his death. President Vladimir Putin was “deeply upset” by the news and had greatly valued Churkin’s professionalism and diplomatic talent, Russian news agencies quoted the Kremlin as saying. The New York Post quoted unnamed sources as saying Churkin had been rushed to a Manhattan hospital from the Russian embassy after falling ill with a cardiac condition. Tass news agency quoted Churkin’s deputy Pyotr Ilyichev as saying: “The loss sustained by Russia is grave and irreplaceable.